About metal, the best conductivity is silver, then is copper and aluminum. Because the silver is very expensive, so it is just used in the special place. 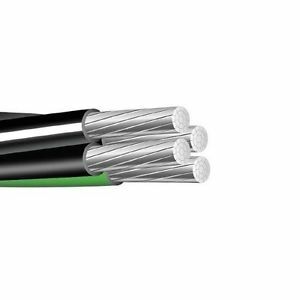 The most 4 awg aluminum wire is copper and aluminum. So the price will not too expensive. If you want to get the exact price, please send the inquiry. We will reply you as soon as possible. Huadong Cable Group is located in Henan province. As a great suppliers of 4 awg aluminum wire, the professional producing experience and the lowest 4 awg aluminum wire price make Huadong to have a role in the cable market. So choose huadong, choose best.